Lmited liability companies, or LLCs, need at least one registered manager. In single-member LLCs, the manager is usually the owner. However, it is not a requirement that the manager be the owner. Even single-member LLCs can hire a manager who is not an owner. Multimember LLCs can have one manager, who is also a member or an employee, with no ownership interest. These LLCs can also choose to be member-managed, with multiple owners responsible for managing the company. A manager who is also a member is called a managing member. Responsible for day-to-day LLC operations, managing members also function like corporate officers (CEOs, COOs, CFOs and treasurers) with authority to sign contracts and bind the company in legal agreements. Depending on the contents of the LLC operating agreement, managing members will receive a percentage of profits, a salary or both. LLCs can specify that the company will be "manager managed." This designation indicates that the manager will be an employee who is not also a member (owner). Selecting this option means that the manager functions like the CEO of many corporations. CEOs have high-level authority but do so for excellent compensation and not an owner's share of LLC profits. This option is often favored by larger LLCs. No state regulations specifically authorize the creation of a board of directors. To avoid public or legal confusion, some LLCs name a board of managers. 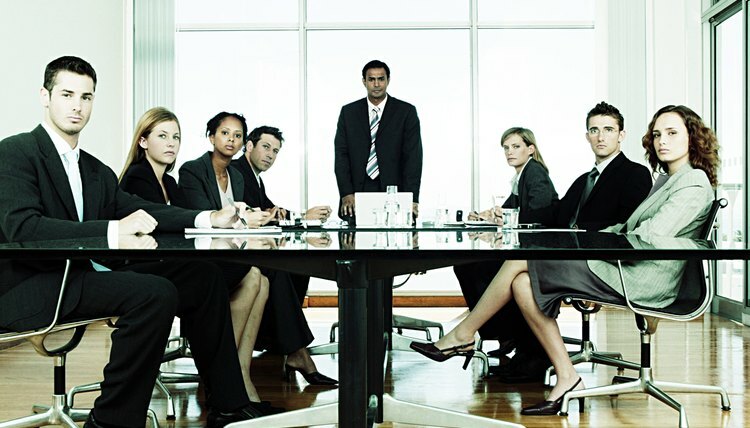 This group, although called "managers," functions like corporate directors. This board may or may not have day-to-day operating responsibilities. Often board members will function more like directors, making major company decisions but leaving the common operating decisions to the LLC's manager, whether owner or employee. When the owners of LLCs file for registration with their secretary of state -- or appropriate state agency -- the primary form, although different depending on the state, is called the articles of organization. The articles of organization is usually a simple document including the LLC's name and address, the company's registered agent, the purpose (nature) of the business, and the names of the manager(s) and members owners of the LLC. Often, states also require the LLC to disclose whether it will be member managed or manager managed. The operating agreement is the document that details all of the organizational and managing responsibilities pertaining to the LLC. The policy and rules for appointing the manager or management group will appear in this critical operating and organizational document. Most state LLC regulations have language specifying the selecting of at least one manager. However, other language in the document usually allows all basic rules to be "modified" by the LLC operating agreement. Therefore, even if the state regulation describes the appointment of one manager, the operating agreement can name multiple managers or a board of managers to make all LLC business decisions. Starting a new business can be an exciting adventure. At the same time, you must address many important formalities at the outset of operations to ensure that your business both complies with the law and runs smoothly. If you decide to form a corporation, having a properly drafted charter and bylaws will help put your company on the path to success. Does an LLC Have Articles of Incorporation?